« My Top 5 Treat List. The other day in Singapore, we found out that Singapore has the cutest Traffic Light ever!! The Pedestrian Traffic lights went “Chiuuu Chiuu Chiuuu…” whenever the pedestrian green indicator is light up. The Chiuu chiuu sounds exactly like the sound of laser from a sci fiction movie. 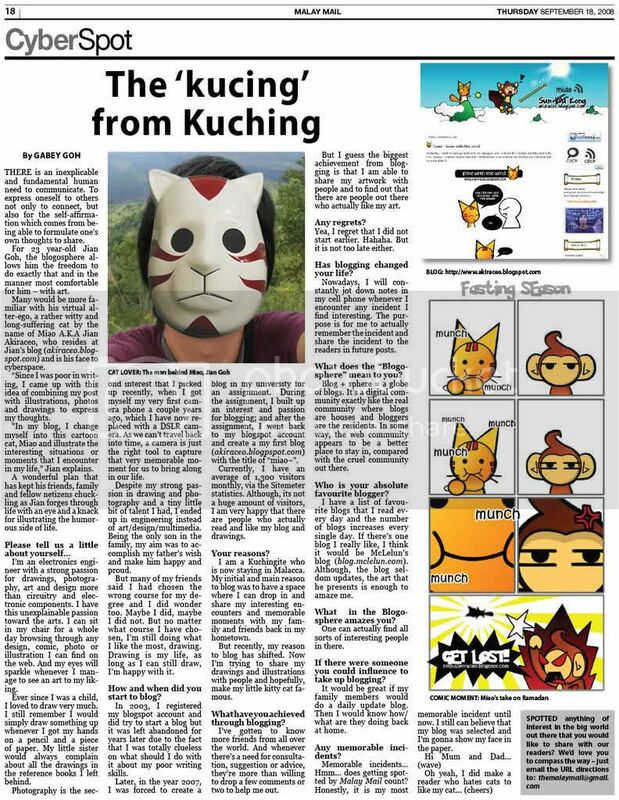 Posted on November 7, 2009 by Jian Akiraceo. This entry was posted in Outdoor and tagged chiu chiu chiu, pedestrian traffic lights, singapore traffic lights, traffic lights sound, wars on the street. Bookmark the permalink. Hahaha no lar where got..
OMG… That is oh, SO CUTE!!! I couldn’t help smilling when I read this. Hahaha the traffic light eh? LOL!! U r damn funny. I’m from sg. I think the sound is for the blind ppl 2 cross the road so that they know when to cross and hurry/stop and wait for next round if left 5 secs to cross. Its hard also as the sound never goes faster when the green light is going to turn red. Yea..I think the sound is for the visually impaired pedestrians. They have it in Australia as well. ahhh, miao traffic light pun beri ilham kepada you..
traffic light di melaka ada timer kan. countdown 3 .. 2.. 1 … and goooo!! Lol, when I saw the title I thought it was something gotta do with kissing 😛 But still, fun with traffic lights= win! Anyways, who’s the other 2 girls in the comic? True! The tune won’t get faster 1.. it just stopped. But it’s Singapore! no worries, the car will stopped for them to pass. ya meh? So cute! Must go and find out one day! Yep! Go check it out! haha I thought they go ‘toot toot toot’! CHIU..CHIU…CHIU!!! lol.. omg the sound is going on in my mind when i read this.. 4 of us were in d CHIU CHIU war zone in singapore! lol..
wah i reallie swt by ur this entry… =.=. Hahahaha…. 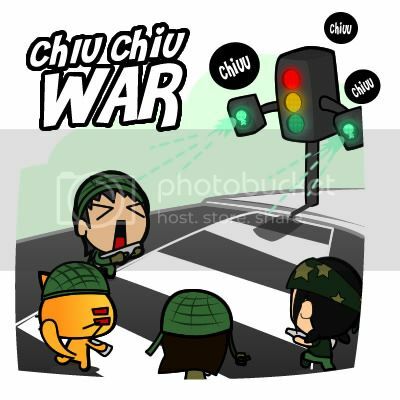 Chiu chiu… play laser shooting with the traffic lights? Hahah I’m not that creative..
no la i s’porean sia! haa… your blog is so cute and funny. Love your blog. i’m socurious, where is the traffic that makes the noise, maybe I should pay a visit and make myself more singaporean. haa.. I discovered your blog as I was looking for a decent skin for my blog, I must say Im very impressed with the layout indeed.